And you thought a tablet was something you put in your mouth! 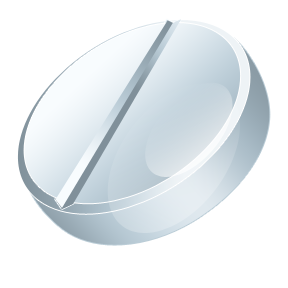 It wasn’t that long ago that most people associated the word “tablet” with a trip to the medicine cabinet or the drug store. After CES 2011, the word “tablet” will be forever associated with a PEA (portable electronic appendage) or a computer. 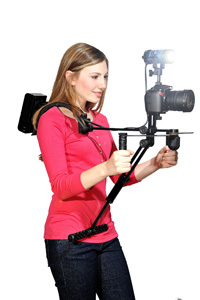 It is clear that while most of the major camera and camcorder manufacturers were exhibitors at CES, along with appliance manufacturers, car companies, software companies and a host of other companies and disciplines, that among the products that garnered the greatest interest and buzz were the tablets, smart phones and 3D televisions——all items where apps and content count. Among the tablet contenders: Motorola introduced the Xoom which runs on Google’s Android Honeycomb OS complete with still and video capture capability as well as video conferencing; RIM showed the Blackberry Playbook tablet PC which is made for use in conjunction with their smart phones; LG and T-Mobile announced the G-Slate tablet also running on the Honeycomb OS; NEC showed the LT-W Cloud, a dual Screen tablet/e-book reader; and Kno also showed their dual screen Kno Tablet Textbook which is aimed mainly at students; Samsung had its Galaxy tablet present and announced a Wi-Fi only model coming soon and Toshiba announced that it will release a Wi-Fi only tablet later this year; Samsung also showed their Sliding PC7-a tablet netbook hybrid, that will be available later this year; Asus, announced several tablets running the Honeycomb OS, but also announced the Eee Slate EP121, a slate tablet that runs on a full blown Windows 7 operating system; Dell announced the Streak 7 Tablet (T-Mobile is the carrier) with a forward facing camera for video chatting/conferencing and a rear camera for taking photos; Vizeo announced the VIA Tablet with an 8 inch screen and a forward facing camera for video chat/conferencing (I can see the ads now: Beyoncé VIA tablet! ); Acer showed the Iconia tablet prototype; and Lenova showed LePad. So, how big is the tablet market? In 2010, the market was essentially owned by Apple’s iPad (95% of the market) with an estimated 10-12 million units sold. With the other units becoming available from other manufacturers and platforms this year, some analysts are predicting the 2011 tablet sales could be in the range of 24 million units on the conservative side to 40-50 million units if the market truly blows-up.¹ Most analysts also agree that, at least for 2011, the iPad will continue to dominate the market. But this post isn’t about who will dominate as much as it is about the potential for tablet technology to transform the way people communicate and entertain themselves. This should be a wakeup call to all content creators to get our ducks in order. 1: Sources – Forrester Research Inc and Info-Tech Research Group. 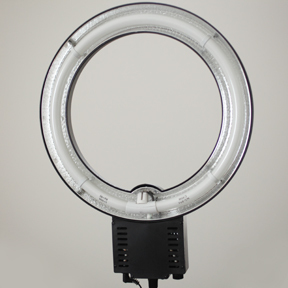 There is a great deal of mystery surrounding HMI lighting for many a still photographer and HDSLR motion shooter. Ask about them and you are likely to hear: “They are expensive;” “They are daylight balanced;” “I’ve seen them used on movie sets;” “Did I say that they are expensive;” “They get hot;” and “My stylist pulls clothes from there.” (Tell the person who gives you the last answer that you said “HMI” not “H&M!”) You may also hear some claiming to have found budget-priced “HMI” lighting, leaving you to wonder. HMI is actually a product name which is a trademark of Osram-Sylvania, but is used generically to describe metal halide lamps much in the same way that Xerox is used as a catchall for photocopying. In addition to being more efficient than incandescent lamps, HMIs are daylight balanced which means that no filters are required for outdoor use and there is no resulting reduction in light transmission. HMI lighting is a hard light source which is available in sufficiently large enough wattages to be able to control lighting in outdoor environments including overpowering the sun. 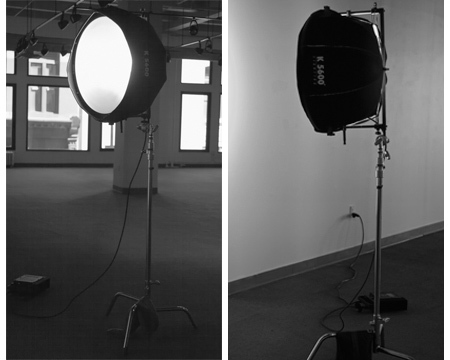 HMIs can also, however, be very versatile lights. 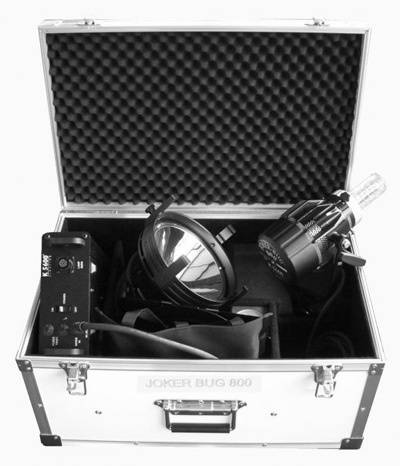 Bradshaw points out that “The K5600 Jokers offer a point-source daylight source — the lamp — in a head which can shape light from narrow-beam hard (our Focal Spot) to big source soft (our Multi-Bug Chimera Adapter & Soft Tube), pausing in the middle with the Beamer par reflector and a set of Fresnel lenses. Additionally, K5600 has introduced the Crossover Adapter, allowing still photo light modifiers to be fitted onto our 200, 400 & 800 watt heads. The response to the issue of whether HMIs are truly expensive is not as cut and dry as it might seem. 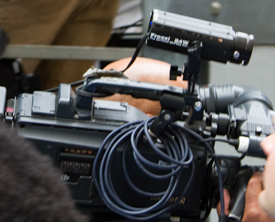 A single 200 Watt HMI kit averages in the neighborhood of $2600. The lamps can set you back a couple of hundred dollars as well. 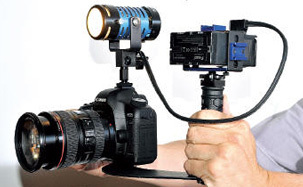 For the amateur or enthusiast photographer/videographer for whom ownership is important, they may be viewed as expensive, especially when compared to flash lighting for which the price of admission can run as low as a couple of hundred dollars, or when compared to the initial outlay for tungsten, some florescent and even some LED units. 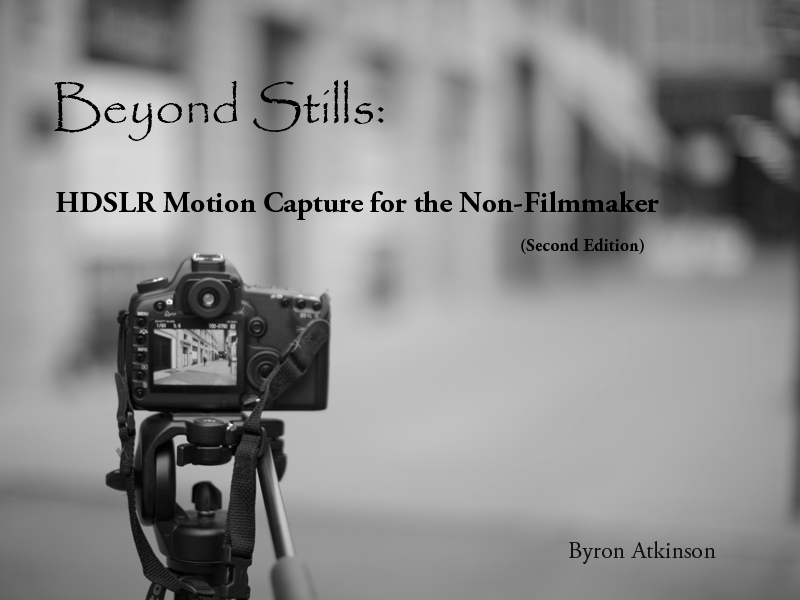 But for photographers/videographers whose work demands a combination of continuous light with reach and flexibility, daylight balance and efficiency or for production and broadcast companies, the expense is justified by the “tool.” If ownership of HMIs is not an option, whether you are an enthusiast or a working “imageer,” they can be rented when needed. Now we need to go back to being technical again. You may hear the term “hot re-strike” or “hot restart” used when HMIs are being discussed. What this means is that the lights can be restarted immediately after being turned off. I bring this up now because there are HID metal halide lamps available which are marketed by some as “low cost HMIs” for video and still applications, which are actually CDMs or Ceramic Discharge Metal Halide lamps. The major differences between CDMs and HMIs are: CDMs are “cold re-strike” or “cold restart” which means that you have to wait five minutes for warm-up and five to ten minutes once they are extinguished before relighting them; cold re-strike technology results in CDM bulbs being less expensive than HMI bulbs and a having longer life; and CDM power options are not as robust as the HMI options. CMDs have been around for sometime; they are commonly used for architectural applications where powerful but low heat-generating and efficient lighting that can be run for long periods are required. 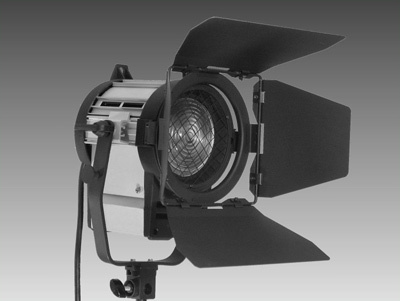 CDM ellipsoidal and Fresnel fixtures are used overhead in theatrical productions as well. This is our first installment in a series of articles on HID lighting. I hope that you have found the discussion informative and of value. Over the summer we will be exploring HMI and CDM lighting further along with other topics of interest. I’d like to thank Peter Bradshaw who represents the Crossover program for K5600 here in the North America and Richard Andrewski of Cool Lights for their willingness to share their insights. 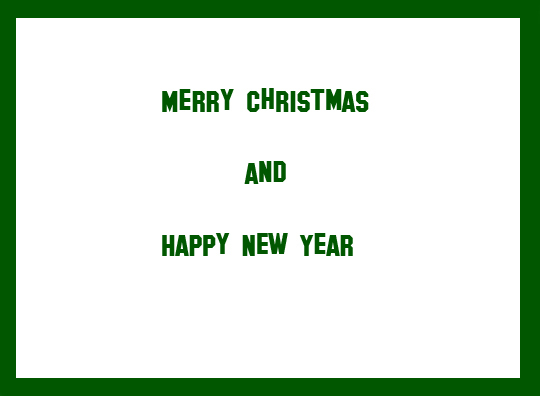 I would be remiss if I did not stress the need for care and safety in operating HID lights. Whether you rent or buy, please follow the manufacturer’s instructions for safe operation, and transport of the fixtures, ballasts and lamps. Many HID lamps emit ultraviolet radiation while lit so do not look directly into an unshielded lamp and take necessary precautions if the fixture you are using them in does not have UV protection. Do not handle the bulbs as the oils from your fingers can shorten lamp life. (Peter suggests that you add a pair of leather gloves to your kit.) Do not touch the lamps when they are hot, and remember that if you need to dispose of them, they do contain mercury and /or other materials that may require special disposal procedures. If you have any doubts, consult the lamp manufacturer’s Website, and/or contact your local sanitation department or environmental oversight agency.